Autumn Salad Served in Apple Bowls | Yummy Mummy Kitchen : Yes, it is an autumn salad – but it lends itself to Christmas easily and perfectly! 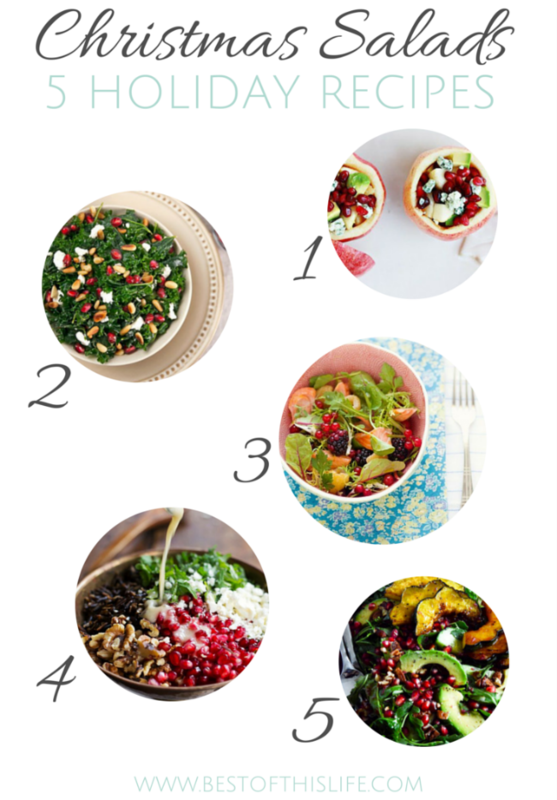 No, I’m not playing tricks on you – although some of these salads were inspired by summer and autumn – they are perfect for your Christmas feast! Pomegranates are the ingredient du jour and are lining the market shelves. They are flavourful, beautiful, and red! Precisely what your holiday salads need – some colour. Add some white goat cheese, just-ripe avocados, and green apples for even more eye candy. We all know there will be plenty of heavy, rich holiday food flowing, so why not add a delicious salad at every meal to offer a lighter option. In my opinion, it’s a nice way to balance the decadence with gorgeous fresh fruits and vegetables. And for brunch parties, please do make a fruit salad. There is nothing better than loads of juicy fruit for morning fare. Seasonal fruits that are wonderful this time of year include: pears, clementines, passionfruit, pomegranates, and kiwi. Enjoy your salads this holiday season!